FOR Lovenss Muchaka of Sinazeze village in Sinazongwe district, life was unbearable before 2016 because of poverty and its offshoot of illiteracy.Women did not know how to conserve food, prepare nutritious meals and save. This contributed to widespread malnutrition in the district, especially in the villages. “The situation was bad. We did not know how to prepare [certain] foods properly or preserve dry vegetables. We used to overcook and hang them on rooftops,” Mrs Muchaka, 41, a mother of four, said. Mrs Muchaka said over-cooking, including poor conservation methods, compromised the quality of food as nutrients were destroyed. This affected the health of children, especially babies’ growth as they were malnourished. However, the situation has changed for the better as women are now able to prepare all foods properly, conserve, earn money and savings – thanks to a European Union-funded (EU) project. The Realigning Agriculture and WASH for Nutrition (RAGWA-Nut) is a three-year (2016-2019) project funded by the European Union. “We have learnt how to make orange jam, lemon drink (juice), mabuyu drink, mabuyu yoghurt, busika jam, pumpkin fritters mixed with orange maize, tomato paste, pumpkin fritters and pumpkin cakes,” Mrs Muchaka said. Mrs Muchaka said some women have also been trained as traditional birth attendants and are helping out pregnant women deliver at local clinics. “Even when the nurses are not there, they [traditional birth attendants] are able to help,” Mrs Muchaka said. She said the RAGWA-Nut programme has been a huge success in the areas where it is being implemented in Sinazongwe. Women have been mobilised around six clubs, each with 23 members. Mrs Muchaka, who chairs Kabyolo Club, named the others as Mabanga, Good Hope, Tugwashane, Katondo and Lumo. Apart from teaching the women better cooking methods to save nutrients in the food and improve its taste, the project has also trained them in agriculture. Emery Ngwenya, 43, a mother of five children who hails from Siazwela village, said most women were not able to keep money. “Women were failing to buy things, even for their kitchens, and failing to take their children to school,” Ms Ngwenya said. After being trained by World Vision, Ms Ngwenya said most women are rarely at home as they are busy at the market doing business. “We are making more money than those working,” Ms Ngwenya who is the chairperson for Mabanga club said. They have since formed savings groups and put money together. This money is shared periodically. “We earn as much as K7,000,” Ms Muchaka said. The women boast that they have learnt a lot and appreciate the promoters of the programme for the gesture. “I don’t need to go and buy cakes, drinks or drinks from the market,” Ms Muchaka said. The project has introduced seed varieties such as yellow maize and Mbereshi beans, which the women have hailed for its nutrition. It also improves sight. They also practise crop rotation, which has enhanced crop production. Ms Muchaka grows sunflower, Mbereshi beans and orange maize on her three hectares garden, while Ms Ngwenya cultivates orange maize, sweet potatoes and Mbereshi beans. The women’s hard work earned them a trip to Livingstone where they exhibited at the provincial show. 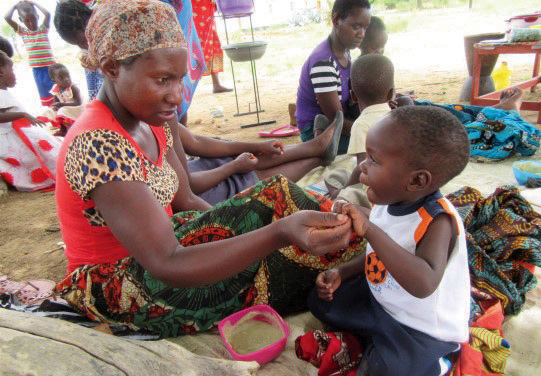 With a total budget of 1.1 million euros, the project responds to the call for multi-sector direction to malnutrition in the first 1,000 days of a child, as advocated in the Zambia National Food and Nutrition Strategic Plan 2011-2015. 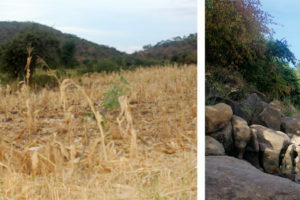 Matrida Mukombo, the RAGWA-NUT project manager, said malnutrition remains, development challenge for Zambia and a principal cause of under-five mortality. Ms Mukombo said malnutrition in women results in reduced productivity, increased susceptibility to infections, slowed recovery from illness and heightened risk to adverse pregnancy outcomes. The RAGWA-Nut project seeks to address these malnutrition challenges. RAGWA-Nut, which began on November 1, 2016, has three implementation sites in three districts of the Southern Province of Zambia, namely Sinazongwe, Monze and Namwala. Jesus Cares Ministries, a local NGO, is an implementing sub-partner. The action is anchored on multi-sectorial approaches which integrate agriculture, Health and WASH interventions to address nutrition needs at household level. It works closely with key government ministries, including the Ministry of Health, Ministry of Agriculture, Ministry of Fisheries, Ministry of Livestock, Ministry of Community Development and Social Welfare, as well as other cooperating partners and government institutions such as Harvest Hope and National Food and Nutrition Commission respectively. The project has targeted 15,981 pregnant and lactating women, 17,173 adolescents, 11,253 children under two years of age, 13,920 community-based volunteers, 30,137 under-five children; representing 75,349 target households from all the three districts where the action is being implemented. Ms Mukombo said the RAGWA-Nut has made strides such as supporting the set-up and training of multi-sectoral district nutrition coordinating committees (DNCCs) in the three target districts as per the Scaling Up Nutrition and Nutrition Commission of Zambia framework leading to improved and coordinated response to nutrition at district level. “In year 2017 alone, 800 (about 98 percent of children admitted) children with moderate malnutrition were successfully rehabilitated within the community using the Positive Deviance Hearth Model. 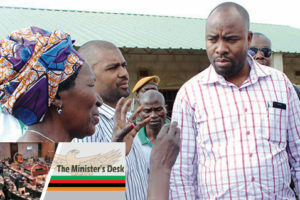 This is a behavioural change programme used to rehabilitate malnourished children between six and 36 months of age,” Ms Mukombo said in a project brief. About 74 of the households with malnourished children received five goats each (pass on scheme beneficiaries) and were among the 760 people who received skills in food production, preservation, processing and utilisation. The project has established 43 community saving groups with a total cumulative saving of K258,787. 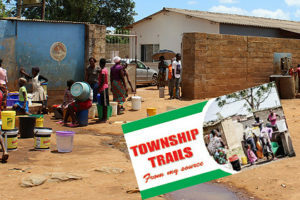 “The training and action by the 77 Community Sanitation Champions has resulted in construction of improved sanitation facilities in 1,056 households,” she said. About 12 boreholes were drilled in Namwala district with 3,219 people (1,520 males and 1,699 females) having access to safe and clean drinking water. In addition, one mechanised water reticulation system with 25 stand taps was constructed, benefitting 2,868 people (1,305 males and 1,563 females) and two water points were built, benefiting 194 males and 223 females.